FxStockBroker.com offers different state of art trading platforms. All of them have been developed by traders for traders and are maintained in-house, providing you with lightning quick speed, reliability and flexibility as well as they are easy to use and accessible to traders of all levels regardless of their experience. From the moment you open your account, FXStockBroker is with you every step of the way. We view interaction with our clients as our top priority and are extremely proud of our customer service standards. Our objective is to provide you with everything you need to help maximize your profit potential. 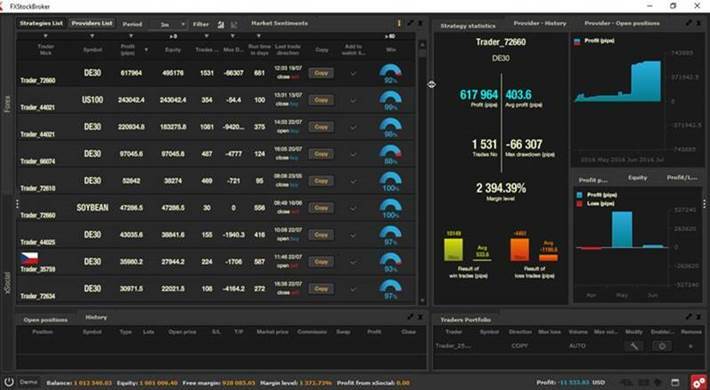 FxStockBroker’s state of art trading platform has been developed by traders for traders and is maintained in-house, providing you with lightening quick speed, reliability and flexibility. The platform is easy to use and accessible to traders of all levels regardless of their experience. Commonly known as foreign exchange or FX, is the world’s most widely traded market, with an estimated daily turnover exceeding $5 trillion. Currencies are traded around the clock 24 hours a day, 5 days a week. FXStockBroker offering covers over 50 spot instruments, with attractive leverage and financing costs. As the most liquid market in the world, high volume trades can be executed with no slippage, and stop loss orders are guaranteed for accounts during trading hours. Spreads from 0.28 pips. Leverage up to 1:1000 & Ultra-fast execution. Trade over 1’600 share CFDs from nine different exchanges from around the world, without owning the underlying asset. With lightning quick execution and leverage up to 1:10, you can profit from falling share prices as well as rising ones. In addition, clients are entitled to dividend and rights issues paid in cash, with commissions as low as 0.08%. Indices are weighted index of the top shares on a particular exchange, like the US30 (Dow Jones 30) and the New York Stock Exchange. With your FXStockBroker account you can trade a wide range of global indices with no overnight financing costs and low margin requirements. Take advantage of our tight spreads on the UK 100, US 30, US 500, DE 30 and more. Trade on over 20 major worldwide indices. Trade CFDs on a wide range of commodities from the energy, industrial, precious metal, financial and agricultural sectors. As the foundation of the global economy, you can gain exposure to a wide range of products – from copper and coffee to silvers and soybeans. Enjoy competitive spreads and modest margin requirements. An exchange-traded fund (ETF) is an investment fund traded on stock exchanges, much like stocks. However, the advantage of an ETF is that they’re much easier and more cost-effective than buying a portfolio of different stocks. Additionally, the use of leverage and low financing costs make this a useful instrument: covering all major sectors of the economy including financial, energy, telecommunications, biotechnology, precious metals and many more. A cost-effective alternative to traditional shares. The World’s leading brokerage is offering a range of leverage from 1:1 up to 1:1000 to suit your trading style. Gain a much larger market exposure with a relatively smaller initial deposit. The fastest execution brokerage speeds in the business. With an average execution time of 85 milliseconds, your trades are routed directly to our servers and executed automatically, with no dealer intervention. Trade from near zero spread. We offer an extremely competitive spread range, with spreads on EUR/USD from zero pips on our PRO account (STP). There are no re-quotes or slippage with our ultra-fast execution and price feeds. Your orders will always be executed at the requested price – instant orders, every time. Take advantage of the largest liquidity in the World and the most trusted banks. This allows us to offer you the best possible prices, execution and market depth. High volume trades can be executed with the lowest possible slippage, thanks to our advanced market solutions. FXStockBroker’s advanced Traders Calculator Ticket instantly determines how much profit or loss you could make depending on your stop loss, lot size, and limit order. 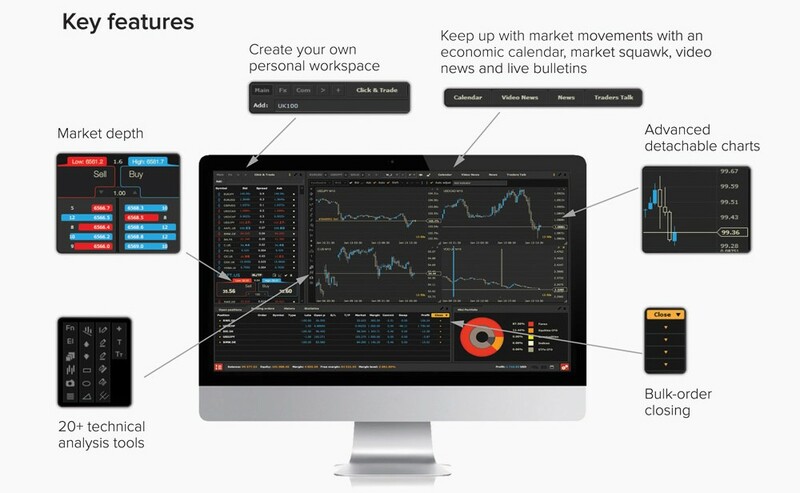 Allowing you to make more informed trading decisions instantly. RSS News feeds are available on screen and available in real time updating the trader to the most important market moving events. Economic data is at the forefront of importance for every trader. Our Economic data is displayed clearly with instant releases in real time. Graded in importance and relevance from low, mid and high. 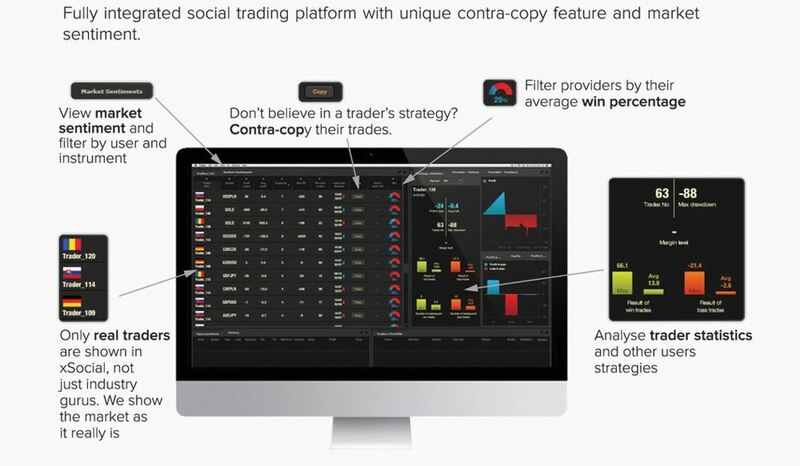 Social Trading is an alternative way for traders to tap into the financial markets. It connects those who wish to invest with professional traders. There are no limitations to borders or time zones. 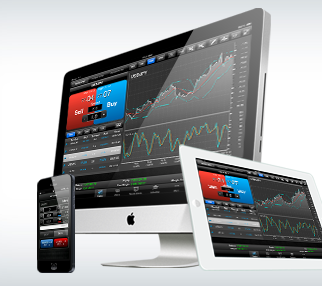 Select and choose from literally 1000’s of traders trading a full range of markets. If you wish you can decide to trade with them or against them. Execute all trades including pending orders from FXStockBroker’s Trader’s advanced charting system and utilize powerful features not available to most such as price correlation. Through FXStockBroker’s Trader, you will have access to dozens of technical indicators including Bears/Bulls power, Bollinger Bands, CCI, EMA, Ichimoku, Keltner channel, MACD, RSI, Stochastic Oscillators, TRIX and more. FXStockBroker’s comprehensive charting also comes equipped with advanced drawing tools such as Andrew’s Pitchfork, Elliot Waves and Fibonacci. Live Squawk is an accredited financial and economic news service, specializing in up-to-the-second broadcast reports and headlines bringing accurate, reliable and timely news. Market Squawk journalists and analysts monitor all major newswires, television channels, news websites, blogs and social media platforms for content with market-moving potential. Broadcast is 24 hours a day from Europe and Asia, Sunday through Friday (except for selected UK holidays). Commentary covers all the main asset classes, including equities, fixed income, FX and commodities. FXStockbroker through its major Liquidity Funds are offering Traders the option to open a “line of credit” account. This will enable the trader to increase the purchase value on any asset and provide additional liquidity. For example, with a $10,000.00 deposit the trader is able to obtain a line of credit of 30% value. Now the account is valued at $13,000 creating the ability to purchase additional assets. * Please note the line of credit is adjusted as the account reaches new targets and is charged at the overnight LIBOR rate plus 0.01% interest. * This offer is not available in conjunction with our commission offer. Maximum leverage applied is 1:100. If you are interested in a line of credit please email [email protected] requesting this service. FXStockBroker is offering a commission for every trade you open on the following Major Forex Pairs. Your spreads and trading conditions remain the same. The only difference is, as our client you will earn a rebate per 1 Lot return trade, making your trading through us more profitable. Your trading commission is paid instantly to your account. The following Commission Chart is based on a “1 lot size”. For every additional “lot size” the commission increases accordingly. For example: 1 Lot trade on EUR/USD is paid a commission of $5 for the trade. 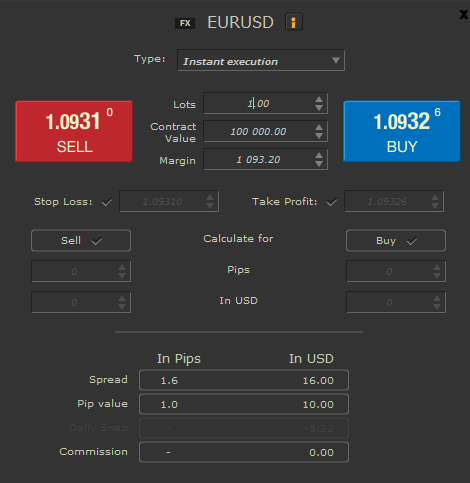 2 lot trade on EUR/USD is paid $10 and so on. * This offer is not available in conjunction with our line of credit offer. Trading Spot Foreign Exchange (“Forex”), Contracts for Difference (“CFDs”), Spread Bets, Crypto Currencies and other investment products carries a high level of risk and may not be suitable for all investors. It involves the potential for profit as well as the risk of loss which can exceed your initial deposit. Please ensure you fully understand the risks involved. https://fxstockbroker.com domain is owned by FX Stock Broker Ltd. FXStockBroker, FX Stock Broker is a Registered Trade Mark The trade mark is intellectual property and requires written authorization for use. FXStockBroker is not subject to the regulatory oversight in your region that governs other FXStockBroker affiliates, which includes but is not limited to Financial Conduct Authority, and Australia Securities and Investment Commission. FXStockBroker and affiliates are committed to maintaining the highest standards of ethical behaviour and professionalism as well as a high level of trust and confidence, all of which are pillars of our corporate culture. FXStockBroker has earned a reputation for fairness, honesty, and integrity, and considers this to be our most valuable corporate asset. We recognise that our reputation hinges on the adherence of our employees to the highest standards of ethical behaviour and professionalism in the performance of their duties. For more information please contact us. All services and products accessible through the site are provided by Quantative Asset Management HK Ltd with registered address Shun Ho Tower 24-30 Ice House Street Central Hong Kong and associated regional offices and companies. Clients trading on FXStockBroker Trading Platforms are processed directly to our liquidity providers, market makers and Crypto Hub. They will act as your counter party to your trades.